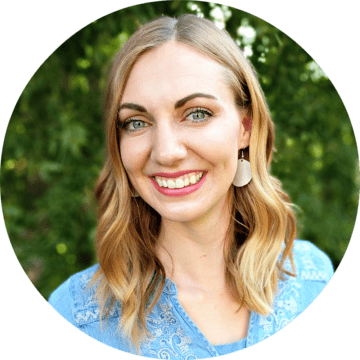 I’m a frugal sewist and I often give ideas for sewing and saving money. But with every hobby comes tools that you have to buy. I actually don’t have a fully decked out sewing room which I’m happy with, but I do have some items that I can’t sew without. 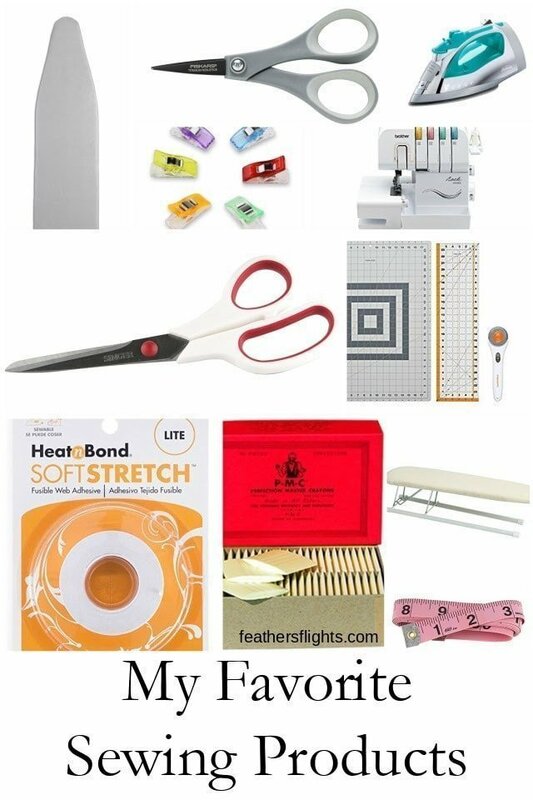 These are my top twelve sewing tools that I can’t sew without! 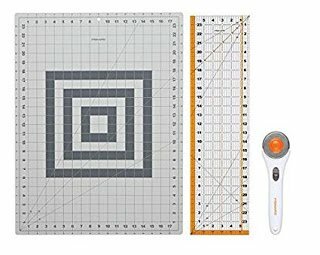 What are your favorite sewing tools? There are affiliate links in this post. I only link to things I have used and recommend. All opinions are my own. I’ve been using glass head pins for a couple of years, and I love them. 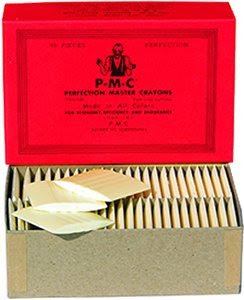 They are small and thin so they don’t ruin fabric, and they don’t melt if you pin and press. 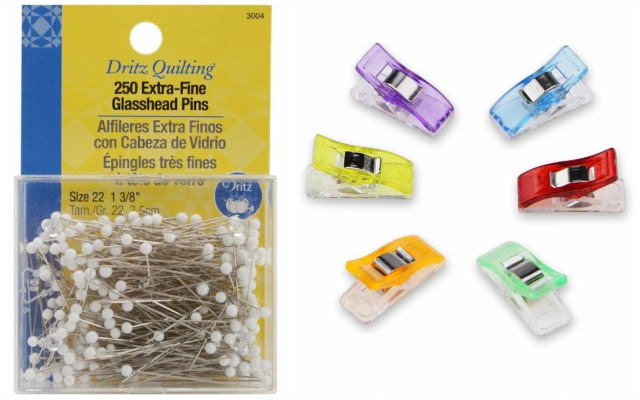 I just started using sewing clips, and I like them so far. They take some getting used to, but I think I sew faster when I use them instead of pins. I love love love cutting fabric out with a cutting mat and rotary cutter. It’s so fast and easy! 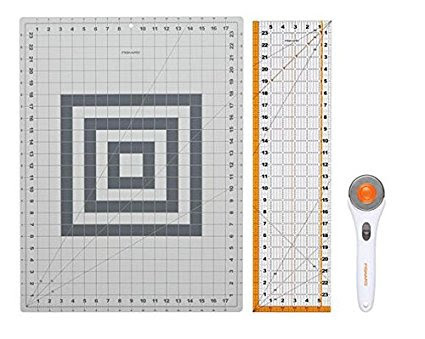 I only use my ruler when I’m cutting rectangles, pockets, and knit bands, but I couldn’t live without it. I know a lot of people don’t like this waxing chalk for marking fabric, but I love it. I started doing it in a tailor shop about nine years ago, and I’ve never looked back. It’s my favorite and only way of marking fabric. 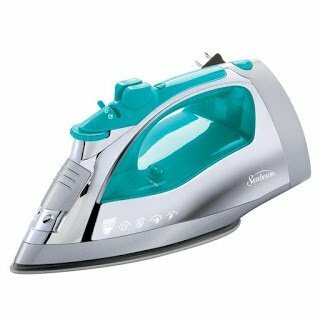 I love that it steams off when I iron it! 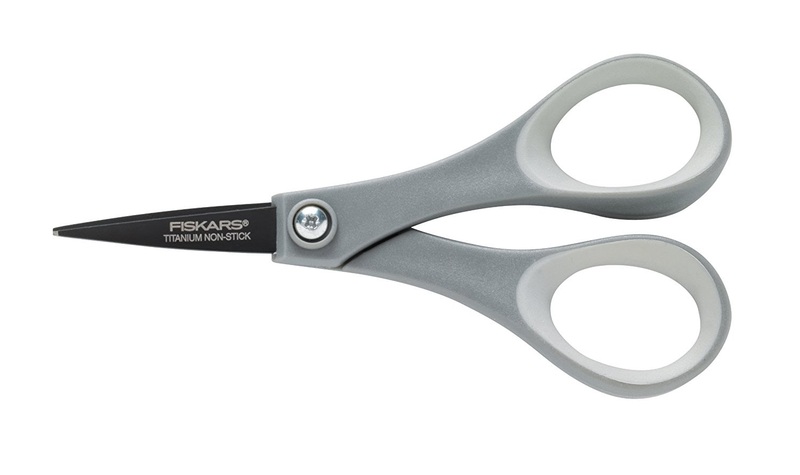 These aren’t the exact scissors I have, but it’s pretty close. 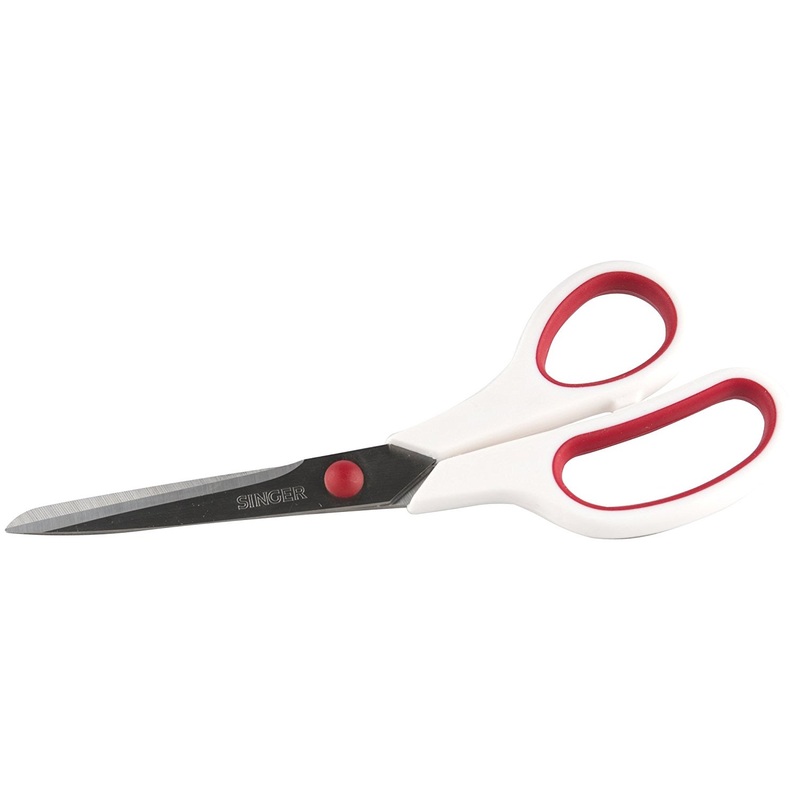 I have a small pair of scissors that I tied a long ribbon on and wear it around my neck. I love having small scissors always accessible when I sew for quick trims and cuts. I use them constantly while sewing, and I can’t sew without them! I don’t use a measuring tape while I sew, but I use it to measure myself, my kids, and any pattern I’m working on. I had a sewing teacher recommend to always wear one around your neck, but I’ve never gotten in the habit of it. 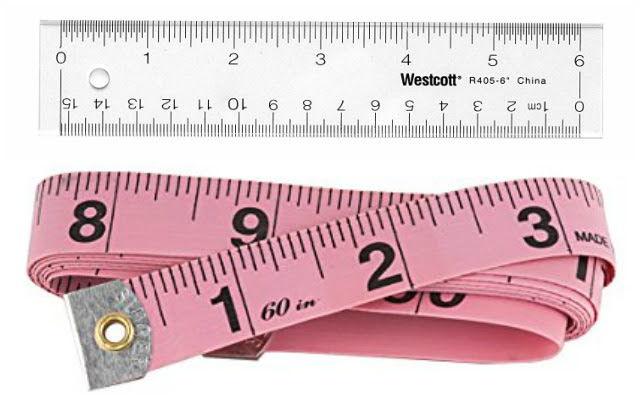 I love having a small ruler right next to my machine when I sew for any small measuring job. I use it to mark hems and measure seam allowances. It’s really handy! 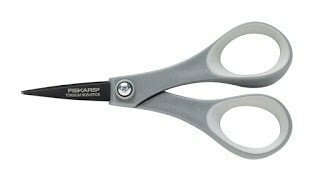 I used to have really fancy, expensive fabric scissors and didn’t see a huge difference from inexpensive fabric scissors. I use them so much that they dull quickly, so I like to inexpensively buy another pair. 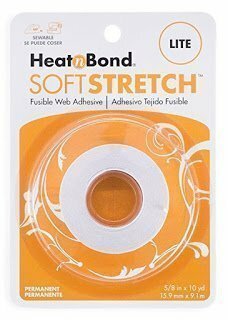 I have tried every trick for hemming knits with a twin needle without success until I started using this product. It’s the only hem tape that works well and gives me a hem I am happy with. I can’t recommend it enough! I have a much older version of this iron, mine is 8 years old, and I’ve always been happy with it. It works great, it’s inexpensive, and I love the retractable cord! Every ironing board cover I’ve had gets stained or dirty so I wash it and then I can never get it to fit on the ironing board well! It’s so frustrating to work with the string, so I found this elasticized ironing board cover that doesn’t stain and won’t burn! I love it! 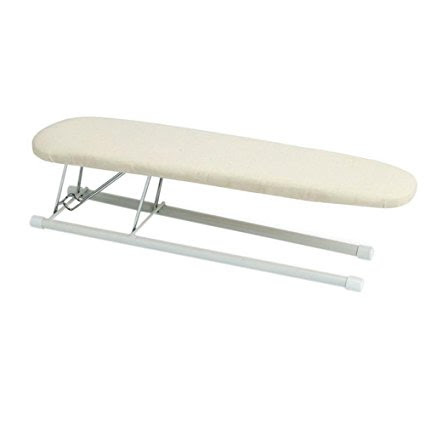 I actually use my small sleeve ironing board more than my big ironing board. I got a small one like this at a thrift stores years ago and always have it out for quick pressing jobs. I love that I don’t have to get my big board out to press small areas. I’ve had this inexpensive serger for almost 6 years, and I’ve never had a problem with it. 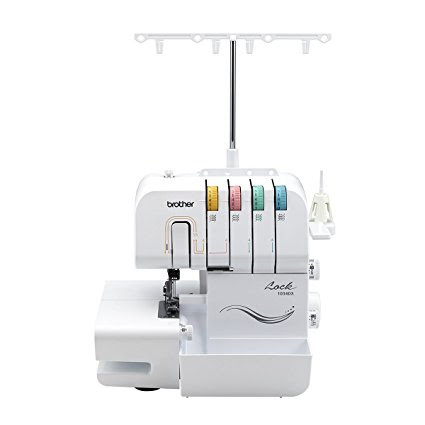 It’s loud and shakes a ton, and it’s definitely an extra level serger, but it’s a great little machine. It elevates my sewing and makes finishing edges so easy!